Fontina is notoriously hard to grate or chop finely, because it’s quite soft. Cut it into relatively small bits, freeze it, and then put it into the food processor with a few tablespoons of parmesan. This will help it stay tiny. 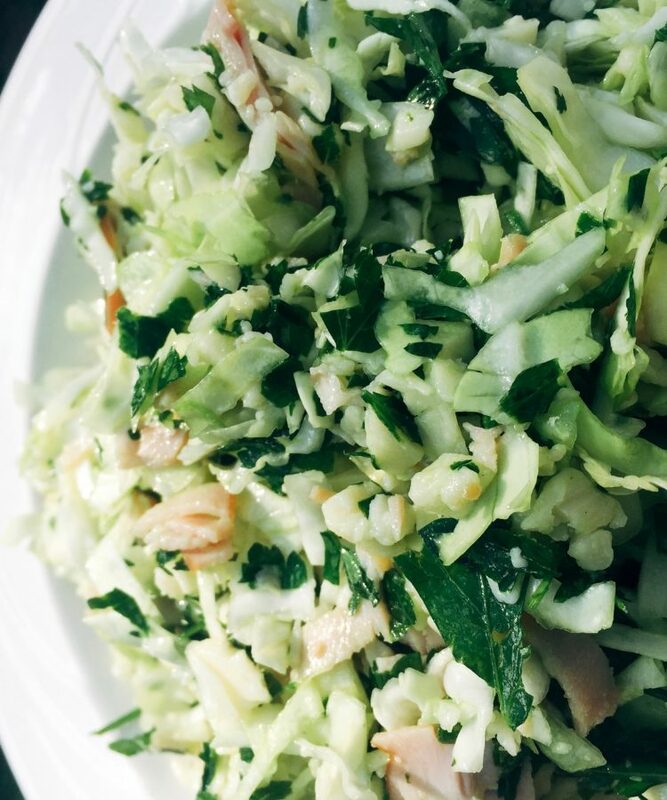 Combine all salad ingredients (cheese, cabbage, parsley, and ham). Drizzle olive oil, and toss. Add salt and pepper and toss. Taste and add whatever’s needed to make it perfect. This salad is pretty heavily adapted from a cookbook called The Best American Recipes 2002-2003. It is SO GOOD. There is barely any dressing, and yet the salad is so flavourful. 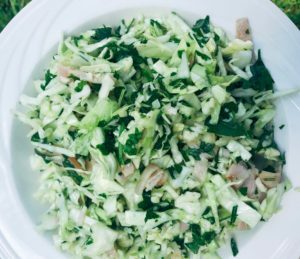 It is perfect for a blisteringly hot summer day, and you’ll be able to eat a GIANT bowlful because it’s basically only cabbage with some fixins. Serves 6 as a side dish or appetizer, 4 as a main course.